Book a one-to-one appointment to speak to a member of staff from the Brilliant Club on Thursday 28th July. Further details on how to book a slot below. The Brilliant Club is an award winning charity that recruits, trains and places doctoral and post-doctoral researchers in non-selective state schools to deliver programmes of university-style tutorials to small groups of high performing pupils. We will be running one-to-one appointments at UCL to introduce researchers to the programme on the afternoon of Thursday 28th July between 14.00 and 16.30. Bookings must be made to secure a slot. To book a slot, please email Dr Rajbir Hazelwood at hazelwood@thebrilliantclub.org. 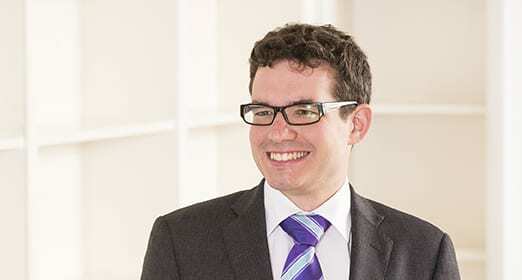 ­­­ Dr James Egleton has a PhD in Organic Chemistry from Oxford University, and is now a trainee patent attorney at J A Kemp in London. James attended our Life Sciences Researchers Careers Fair on behalf of J A Kemp, and kindly gave up a few moments over lunch to chat to us about his career. How did you move from academia to patent law? I was always interested in law, and as an undergraduate I undertook placements at city solicitors’ firms in their intellectual property (IP) departments. Although I liked the office environment, I didn’t feel the job of a solicitor in IP was strongly connected enough to basic science for me. After doing a bit of googling I found out about the patent attorney profession, which combines law with a much more technical understanding of the inventions underlying patents, which sounded perfect for me. I applied for patent attorney roles alongside PhDs and was actually offered both, but I chose the PhD. By the end of my PhD I felt my time in research had come to an end; although I enjoyed the project I worked on, lab work wasn’t what I wanted to do long-term. I wanted to be more office-based, and also to get involved with a wider breadth of projects than academic research allows. When looking for roles outside of academia, my mind immediately went back to patent law, although I also considered consultancy. As a patent attorney, you can either work in private practice, or within industry as an “in-house” attorney. The majority of trainees work in private practice, in specialist patent attorney firms. I applied to firms during the Autumn recruitment season, and had interviews around January/February. I was then offered a place as a trainee with J A Kemp, who take on roughly 4-6 graduates across their three sectors (chemistry & pharmaceuticals, biotechnology & life sciences, and engineering & IT) per year. Some firms have structured graduate recruitment schemes, whilst other firms hire new graduates on a more ad-hoc basis. Look out for any upcoming deadlines advertised for recruitment schemes, but bear in mind that many firms also welcome prospective applications through their HR departments. If in doubt, it is always worth sending a speculative CV and cover letter to a firm! One of the beauties of the job is that there is no such thing as a completely normal day. But I’ll try to describe some of the things that might comprise a typical day: I’ll come into the office, check through my emails, and see what requests have come in from clients overnight. That’s particularly likely given that we work with clients all over the world in different time zones. Subsequently I’ll prioritise my jobs for the day. These might involve preparing a draft response to an examination report from a patent office. That’s where we’ve filed a patent application and the patent office has raised some objections, for example they might have found ‘prior art’ that they think destroys the novelty of our client’s invention. We’re likely to have spoken to our client about how best to respond, and so I may spend a morning drafting our reply. Over lunch I could attend an internal training session with the other trainees in my cohort, on a particular topic relating to patent law. In the afternoon I may have a meeting with my mentor to discuss a piece of work I’d drafted earlier in the week; my mentor will make comments and suggestions. I might then finish my day by going along to a client meeting with a partner, or I may be drafting an email giving advice to one of our international clients. Every so often we also get to attend evening networking events to get a broader perspective on business and foster new business relationships. More senior attorneys attend such events quite regularly. One of the things I love is the blend of technical science, which has fundamentally always interested me, with legal work, which is quite specific and in essence, argumentative. You’re framing arguments about science. I also enjoy the element of language use – translating the science from the clients into legal language for the patent office, and then the legal language back into terms the client can understand. The variety of the work is also very interesting; I work with clients from biotech and pharma right the way through to petrochemicals, polymers, and medical devices. I prefer this array of work to the focus on a very specific subject that comes with academia. I also enjoy the variety of the types of clients we work with: they may come from all over the world, and can be really quite different, from small start-ups to large corporations. Tailoring your approach depending on the client is a challenge that I find quite fun! Some of the partners, especially if they’re involved in business development, will get to visit our clients all over the world, and many qualified attorneys will attend international conferences too. I don’t travel much as a trainee, but there are still occasions where, if a third party has opposed your client’s patent, you might get to accompany a qualified attorney to a hearing at the European Patent Office which will take place either in Munich or The Hague; I’ve been once so far and it was a great experience to see the more contentious side of things. The fact that I was able to assist at a hearing so early in my training also exemplifies another ‘best bit’ – the profession is small enough that even in a larger firm like J A Kemp, you’re able to work and communicate with really senior people on interesting projects from very early on. Having a support network of four other trainees going through the same things at the same time as me is also really beneficial. The biggest thing that might put someone off the profession are the exams. You’re coming in as a scientist with no legal training or background, so you have to get qualified. Any UK firm will train you to be both a British and a European patent attorney, and most of the work we do is European-level work. There are two main stages of qualification: after about a year into the job you have to take foundation level exams, either by taking CIPA (the professional institute) exams or through a university course – at J A Kemp, trainees go on a four month training course at Queen Mary University, where we’re working only part-time in the office, and at the end of that we sit the foundation set of exams. Two years later you have to sit two sets of exams, both the European and the British final set; you have to study for those exams in your own time alongside working full-time. There’s a lot of support in the firm, with an internal tutorial system. But for a lot of trainees this will be the least enjoyable bit, as it’s very hard work. Coming from academia, there is some adjustment needed in terms of pace. There are lots of deadlines that need to be met. Although that might be challenging at first, at J A Kemp partners will only give you the amount of work you can handle, so you never feel overwhelmed. Although the pace is faster, on the flipside the hours are much better compared with academia – I work fewer hours than I was working in academia, but I’m much more efficient in that time, and so I have a better work-life balance. How does the PhD help you in the role? A PhD is not essential but I personally have found it very helpful in three ways. Firstly, having conducted scientific research, I really understand the R&D process, so I can understand where our clients are coming from. Secondly, I gained experience in presenting scientific findings, whether that was presenting at conferences, writing papers, or writing my thesis. The skill of taking data and presenting the key parts is important when putting together an argument in letters to the patent office and drafting new patent specifications. Thirdly, and this is perhaps not true of all PhDs, but I got a lot of experience teaching undergraduates and mentoring students in the lab over the course of my PhD, which was beneficial to my communication skills, being able to put a point across to an audience with a different level of understanding to me. An extra bonus is that the ‘Dr’ title can give you a certain amount of credibility with clients, even as a trainee. Career progression is very good in the patent attorney profession, and can be quite rapid. There’s no pyramid system as in some other graduate schemes, where there’s an expectation that a large proportion of trainees will leave after the scheme finishes. By employing a select number of people, J A Kemp makes a large investment of time and money in individuals, and so it’s quite common for people to stay at the firm for a long time. If you work hard and are keen, and get involved with other parts of the firm like business development, then the opportunities are there for you to progress right up to being a partner. What are your top tips for someone wanting to become a patent attorney? The best thing you can do is try to find out as much about the profession as you can. Look on firm websites (many of which have sections dedicated to graduate recruitment), and read the excellent Inside Careers guide to patent attorneys. Go to careers fairs and talk to people who do the job. Some firms also offer open days, so check around the websites of the largest firms and sign up to one if you see one on offer – they are very informative days. There are very limited opportunities for internships and work experience, but if you can get one, that would be a great experience. But beyond that, just give it a go and apply. Put your CVs and cover letters before employers, and get experience of the interviews. The interviews are actually quite fun, and I think you really know whether or not you want to be a patent attorney after them – they’re very technical, rather than corporate; a typical task might be to describe the key features of a simple object, such as a kitchen implement or a bicycle, or to briefly sum up your PhD project in terms someone with an A-Level or basic undergraduate knowledge of your subject could understand.